In 2015, the federal government finally admitted that Americans were overdosed on fluoride, mainly due to municipalities adding fluoride to tap water. 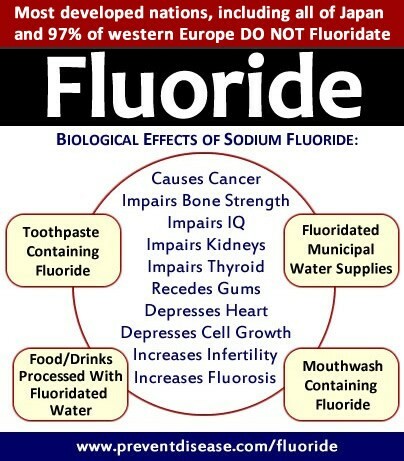 Fluoride has been implicated in neurological diseases such as Autism and Alzheimer’s Disease. Over the past few years, several municipalities have voted to stop automatic fluoridation of municipal drinking water, as it basically amounts to forced drugging of an entire population against their will. Large cities like Portland and Dallas were among the first to take measures to stop the practice. A list of cities that have acted to stop forced water fluoridation since 2009 can be found at the Fluoride Action Network here. Today in 2018, the Fluoride Action Network (FAN) has a federal lawsuit in place against the Environmental Protection Agency (EPA) demanding a ban on forced water fluoridation nationwide. The EPA has tried to get this lawsuit dismissed, but so far has failed. The EPA’s legal counsel proposed the usual defense strategy of having the case dismissed in early 2017. And after reviewing Michael Connett’s 24-page legal response to the EPA’s effort to dismiss, Northern California Federal District Court Judge Edward Chen agreed that FAN’s case would proceed and the EPA’s petition to dismiss the case was denied. Judge Chen based his decision on the merits of Connett’s documented fluoride health hazards and his cited legal statutory precedents. The court’s decisive conclusion is at the bottom of this court document. See: VICTORY: Judge denies EPA’s motion to dismiss TSCA case! Winning this round turned out to be very important evidence for this case as part of the “preponderance of evidence” rule required by lawsuits. This guiding rule eliminates the need to prove a defendant “guilty beyond a doubt.” So the more scientific evidence the better. Plaintiffs FAN et al had come across a monumental study that wasn’t part of their initial list of evidence, Prenatal Fluoride Exposure and Cognitive Outcomes in Children at 4 and 6–12 Years of Age in Mexico, aka The Bahash Study, which wasn’t published until September of 2017 in the journal Environmental Health Perspectives, months after the court proceeding’s had started. Immediately after losing their bid to have the case dismissed, the EPA’s legal counsel argued against allowing FAN et al to expand their base of evidence beyond the original administrative record presented at the outset of this trial in early 2017, which would not allow the Mexico study to be included. “The EPA moves for a protective order limiting the scope of review in this litigation to the administrative record, a request that would effectively foreclose Plaintiffs from introducing any evidence in this litigation that was not attached to their administrative petition. There have been other studies indicating a strong association between fluoridated water and lower IQ levels but this one was important for the FAN et al lawsuit for three major reasons. (1) It was the largest and longest fluoride comparison to IQ studies published internationally. (2) Seven of the nine researchers were from Canadian and USA universities and institutions while two were in Mexico. (3) The multi-million dollar research was funded by the USA’s own agencies: National Institutes of Health (NIH); National Institute of Environmental Health Sciences; EPA. Yes, the EPA partially funded this research. The Bahash Study was also the first study that used individual fluoride measurements of both pre-natal mothers and postnatal children. All others simply referred to a fluoridated water supply. Mexico doesn’t fluoridate their water, but its water tables and aquifers naturally contain high amounts of calcium fluoride, that’s why many in Mexico use services that deliver five-gallon jugs of reverse osmosis purified water. I lived there for a while and most of us “gringos” and many but not all locals used that reasonably priced service. The almost 300 mothers and children whose hospital medical records were used in this study were from low to moderate incomes in Mexico City. Apparently, most of them simply don’t bother with that purified water service and use tap water for drinking and cooking. The amounts of fluoride discovered in their urine were comparable to USA mothers and children who consume artificially fluoridated city water, making the researchers’ conclusion appropriate for anywhere water supplies are artificially fluoridated. After WWII, some industrial sites, mostly phosphate plants, were polluting the air with fluorine gas emissions, killing nearby crops and livestock while sickening humans. By 1970, the EPA had begun enforcing liquid “scrubbers” in industrial smokestacks to collect those toxic fluorine gases instead of polluting the air. Those industries were also not permitted to pour the liquids containing those trapped fluorine gases into waterways or dump them onto landfills and other dumping sites. Properly ridding the area of the collected sludge became expensive. FAN is moving beyond its one by one successes of reversing water fluoridation in local USA communities and other nations by using the Federal Court System to make the EPA ban water fluoridation nationally. The plaintiff’s are not seeking financial damages. They are seeking remuneration from the EPA for legal expenses in addition to the Federal Court’s decision that will force the EPA to ban water fluoridation completely if FAN et al win. It’s a long and expensive haul through the courts, but these two victories are promising omens of an eventual final victory that may result in no more fluoridated water on a national level. FAN is seeking donations for the legal expenses that include bringing expert witnesses to testify on water fluoridation and its health hazards. 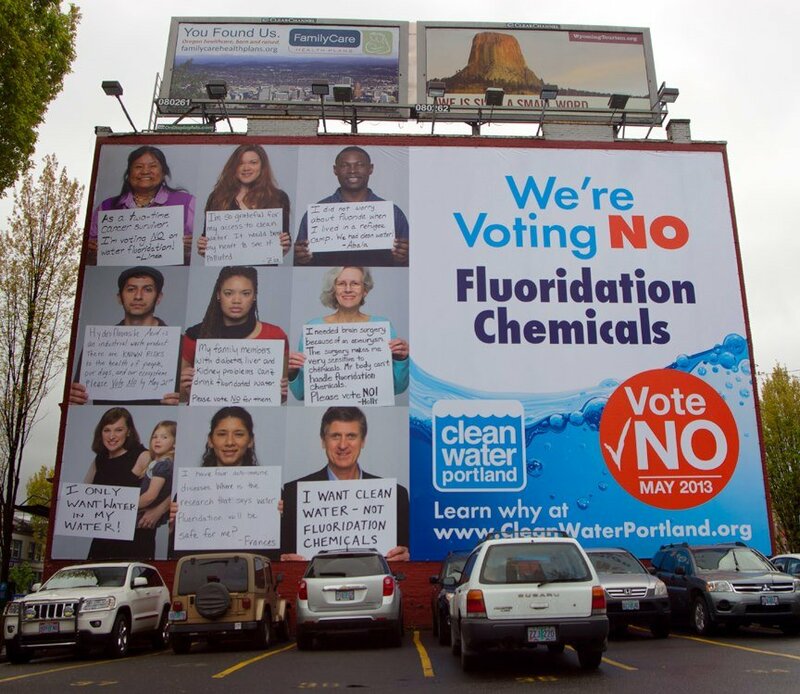 Learn more about Flouride Action Network (FAN) and its grassroots reach, its members, and its successes at Fluoride Alert.